Vitamin D has been widely promoted to prevent chronic conditions like cardio- vascular disease, cancer, diabetes, cognitive decline, and autoimmune disorders. However, findings from randomized trials have been inconsistent. This presentation discusses findings from recent studies evaluating the benefit of vitamin D and addresses the rationale and design of the large-scale VITamin D and OmegA-3 TriaL (VITAL). Presenter: JoAnn E. Manson, MD, PhD is Professor of Medicine and the Michael and Lee Bell Professor of Women’s Health at Harvard Medical School, Chief of the Division of Preventive Medicine and Co-Director of the Connors Center for Women’s Health and Gender Biology at Brigham and Women’s Hospital. Her primary research interests are biomarker studies and large-scale prevention trials of promising interventions to reduce risks of cardiovascular disease, diabetes, and cancer. 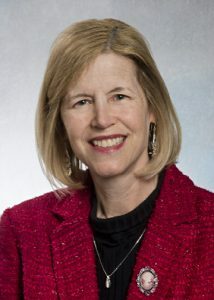 Dr. Manson has received numerous honors, including the Woman in Science Award from the American Medical Women’s Association, the American Heart Association’s Population Research Prize and Distinguished Scientist Award, election to the Institute of Medicine of the National Academies, and the 2013 Bernadine Healy Award for Visionary Leadership in Women’s Health. She was also one of the physicians featured in the National Library of Medicine’s exhibition, History of American Women Physicians.